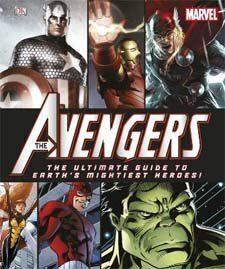 Avengers: The Ultimate Guide to Earth’s Mightiest Heroes was written by Scott Beatty, Alastair Dougall and myself. It’s another great addition to Dorling Kindersley’s line of super hero books and features just about everything you’ll ever need to know about the Avengers. It contains details of every hero who’s ever been a member of the team, all the team’s deadliest enemies, details of classic stories, a timeline and a decade-by-decade look at how the team has changed. DK have a long history of producing top quality books about Marvel and DC characters and it was not only great fun to be part of the project but also gave me the perfect excuse to read the Avengers/Defenders war again. I even got to write the afterword.